Koa, meaning “strong warrior” in Hawaiian is a Farr designed, Goetz built TP52 and this fully carbon fibre Grand Prix racer has been optimised to race in the Sydney Hobart. In 2013 she was overhauled by Nelson Marek and optimised to perform in IRC racing, with a new keel, bulb and rudder. 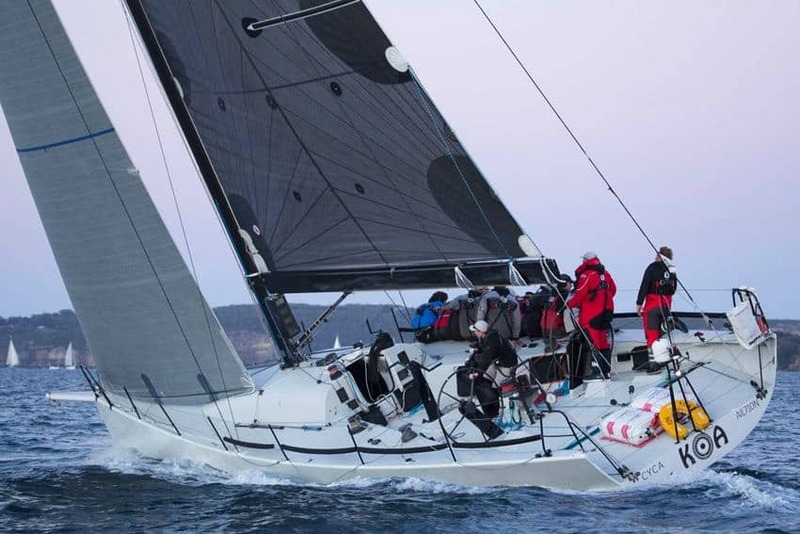 When she arrived in Australia she was stripped out and further optimised for offshore racing, including strengthening the bow for the conditions often found in the Sydney Hobart.Koa is one of the lowest rated TP52s as she has slightly reduced sail area and J measurement. In light airs, this boat is a weapon and in all conditions can match other TP52s upwind. In typical Hobart conditions she is a great boat to take south into whatever conditions the Southern Ocean decides to throw at her. Koa currently holds the record for The Flinders Island Race.